With companies like Google and Audi already testing driverless vehicle systems, self-driving cars could hit the road in a matter of years. 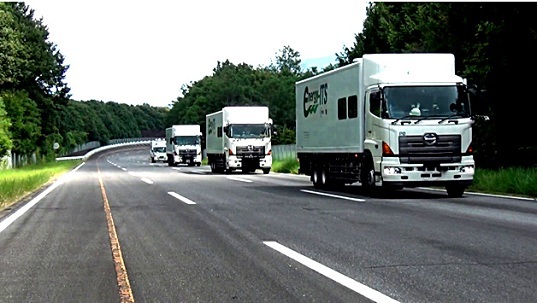 Japan’s New Energy and Industrial Technology Development Organization (NEDO) recently announced the results of their on-road tests involving a caravan of four trucks with one person driving the lead truck. The report showed that the formation, travelling at the speed of 80 km/h (50 mph), achieved a 15 percent reduction in fuel consumption. The project was initiated in 2008, with the goal of testing the effects of driverless vehicle technology on fuel consumption levels and efficiency of shipping speed. The vehicles were equipped with roof-mounted cameras and infrared laser radars and operated under a system called Cooperative Adaptive Cruise Control. The radars were used to detect obstacles on the road while the wireless communication modules enabled inter-vehicle communication. 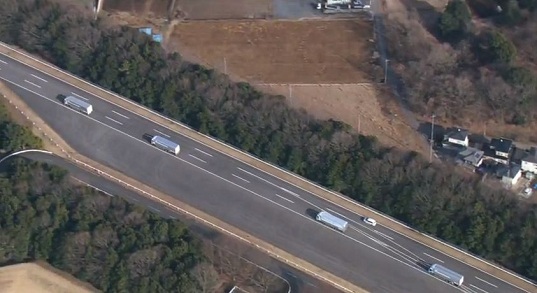 The four trucks traveled about 13 feet apart from each other, requiring only one human driver in charge driving the lead truck. The company plans to have its first automated driving systems ready for the streets of Japan by 2020, although there are still significant legal and psychological barriers against the practical use of the driverless vehicle technology.